If you’ve ever had to travel by air with a cat, you know how stressful it can be for both cat and guardian. 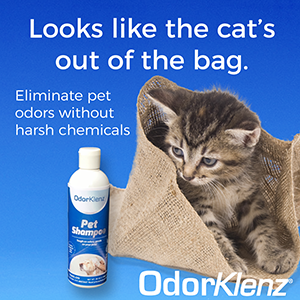 Now imagine that you have to travel with a sick cat. You’ll be in the air for several hours – what if something happens to your cat? Flight attendants receive basic medical training in first aid and CPR for humans, but they’re not trained to help in case of a pet emergency. But now there’s a new option for some pet guadians to receive in flight veterinary care for their sick pets. Dr. Cindy Bressler, a New York City based veterinarian whose clientele includes high profile actors and other celebrities, makes house calls to her clients both in the city and in the Hamptons. Several of these clients occasionally hired her to accompany them and their pets when they had to travel on private planes. Clients have also taken advantage of this service during a move, or when a pet’s care had to be transitioned to a hospital somewhere else in the country, or the world, for that matter. Seeing a need for this service among her clientele, Dr. Bressler started Jetset Vets, the first ever private jet veterinary pet service. Jetset Vets will provide in-flight medical care, assistance with preparation of pets’ travel documents, and work with veterinary hospitals globally to ensure seamless transport and transition of care. Bressler teamed up with Blue Star Jets, a company that has long served an elite air travel clientele, but hopes that eventually, the service can be offered on commercial flights as well. 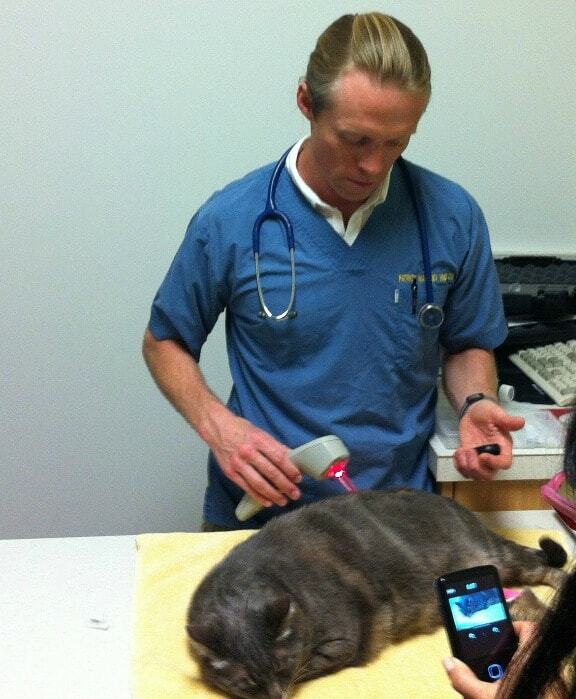 Dr. Patrick Mahaney, a celebrity vet in Los Angeles, will be the West Coast Director of JetSetVets. As Dr. Mahaney is a holistic veterinarian practicing both western and traditional Chinese veterinary medicine (TCVM), he has a unique approach catering to his patients’ needs both on the ground and in the air. The concept of concierge medicine is not a new one in human medicine. As a huge fan of the USA TV series Royal Pains, a show about a concierge practice set in the Hamptons, I became intrigued when I read about Dr. Bressler’s practice, and the creation of Jetset Vets. Dr. Bressler successfully adapted this business model to veterinary medicine, and I wanted to learn more. (I also see the potential for a spin-off: “Royal Pains – Veterinary Edition” – Mark Feuerstein, are you reading this?). I had a chance to speak with both Dr. Bressler and Dr. Mahaney about their new venture last week. I asked Dr. Bressler what types of services would be offered in flight. “Services range from monitoring to dealing with emergency situations,” said Dr. Bressler. “The only thing we can’t do in flight is surgery.” If there were a surgical emergency, the plane would make an emergency landing and the pet’s care would be referred to a hospital on the ground. “We can also have a pet chef on board for pets who have special dietary needs.” The chef can prepare fresh meals in flight if needed. Dr. Mahaney’s practice is housecall based, so he is already familiar with working without the support of a brick and mortar hospital. I asked him what he thought might be some special challenges of practicing on a plane. “I have an extensive background in emergency practice,” said Mahaney, “so I can rely on my experiences treating a variety of urgent medical scenarios, including trauma, toxicity, metabolic disease, cancer treatment side effects, and others.” He says that on a flight, the majority of his responsibility will be to monitor vital signs (temperature, heart and respiratory rate, blood pressure) and provide stabilizing treatments, such as intravenous fluids and medications. According to Dr. Bressler, not all flights will require the presence of a veterinarian. Some sick pets may only require a trained veterinary technician to accompany them. Either way, having a trained veterinary professional on board will provide peace of mind to worried pet guardians. JetsetVets will be donating a percentage of the proceeds from flights booked with Blue Star Jets to animal charities. While this service is probably only something a very elite clientele will be able to take advantage of, I absolutely love the concept. One of the many reasons why I love it so much is that it reinforces that pets are members of the family. If money was no object, would you take advantage of this service? For more information about Dr. Cindy Bressler and Jetset Vets, please visit DrCindyBressler.com. For more information about Dr. Patrick Mahaney, please visit PatrickMahaney.com. Photos of Dr. Bressler and Dr. Mahaney used with permission. Just sitting here reeling at the thought of having the presidential suite redone to look like Faraday’s bedroom… Wow, there goes the retirement fund…! Seriously – and as someone who also loves Royal Pains – I’m glad someone thought to successfully pursue concierge medicine. My guess is this isn’t a full time job, but what a cushy part-time gig! As a pilot, I have to wonder if they’ve considered working with the airline charter to pressurize the cabin to a much lower cabin altitude. It reduces jet lag in humans, and I can only think it would have a positive impact on animals (especially those who are ill) as well. So cool! I hadn’t heard of this either. Yes, if I had unlimited funds and needed to move across the country, I absolutely would. I’d never travel on vacation with my cats…it would have to be a permanent move. Still, they would have their hands full with Katie. HA! I wonder if they travel with those armpit-length suede gloves. this is incredible! I didn’t even know that anything like this existed! Another great example of how important pets are to their people. That’s exactly what I was thinking, Fisher! What a wonderful service, if I had the need and the funds I would certainly use this type of care. Hopefully someday it catches on in a way it becomes more affordable for those in need. Very interesting post-thank you. I’m glad you enjoyed learning about Jetset Vets, Raine.